Woollaston discovered the art of painting while working as a horticultural worker in the Nelson area during the late 1920s, and was delighted by the tangible and sensuous qualities of paint as a means of expression. In 1934, after two semesters at the Dunedin School of Art, Woollaston settled at Mapua, a township 30km east of Nelson. Here he married Edith Alexander, had four children, and was part of a circle of prominent artists in the area which included Colin McCahon, Doris Lusk and Patrick Hayman. In 1949 Woollaston and his family relocated to Greymouth, lured by a relatively lucrative door-to-door salesman position. He responded enthusiastically to the dramatic West Coast landscape. His paintings from the 1950s seem to take their cue from the scale of this landscape, increasing in size and suppressing pictorial detail for the slashing linear rhythms that connote elemental energy. By the mid-1960s Woollaston had travelled to Spain, England and the United States to study European works, exhibited his own work at the Museum of Modern Art in Melbourne, had his work feature in an Auckland City Art Gallery touring retrospective exhibition, and secured Wellingtonian Peter McLeavey as his art dealer. 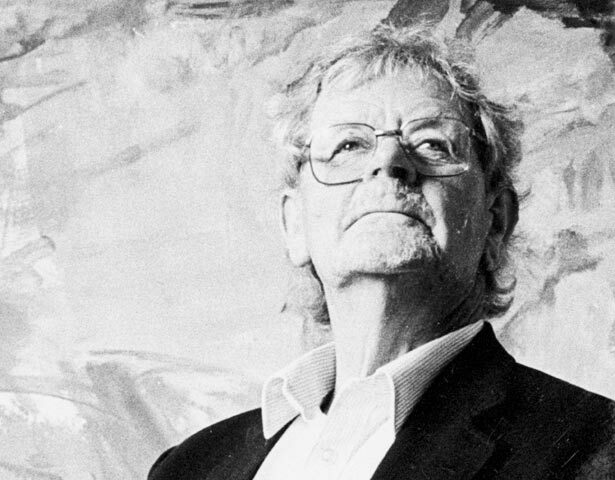 Woollaston’s panoramic landscape paintings of the 1970s were seen as a significant body of work which transmuted the familiar New Zealand landscape into a painted ‘floating world’. In 1979 Woollaston was knighted for his services to painting. We have 6 biographies, 2 articles, related to Toss Woollaston.